Sam Thaiday plays for the Brisbane Broncos in the NRL. He is a former Broncos captain, an Australian international and Queensland State of Origin representative, and was a member of the victorious Australian 2013 Rugby League World Cup team. He has received numerous awards over his career, including the Dally M award for second-row forward of the year, was named in the Indigenous Australian Rugby League Team of the Century, won a premiership title with the Brisbane Broncos and was awarded the coveted Ken Stephen Medal for his tireless efforts to help close the gap on Indigenous health and youth issues. Sam, who is of Torres Strait Islander descent, was born in Sydney and raised in Townsville with his four brothers. He played rugby league football for the Brothers club in Townsville, attending Kirwan State High School. Off-field, Sam is a long-time Nine Network personality and also hosts a successful Saturday morning radio show called Thank God It’s Thaiday on Nova. 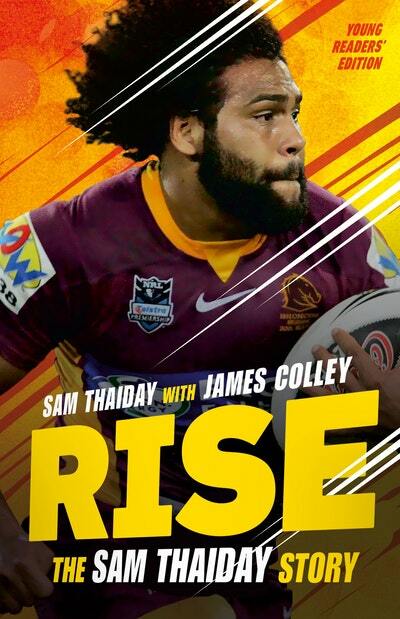 Be the first to find out about Sam Thaiday.